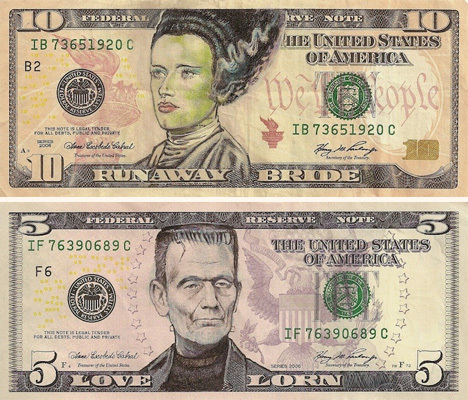 Technically, defacing US currency is a crime – but artist James Charles doesn’t seem to be in any legal trouble for his awesome series of Pop Culture Cash. 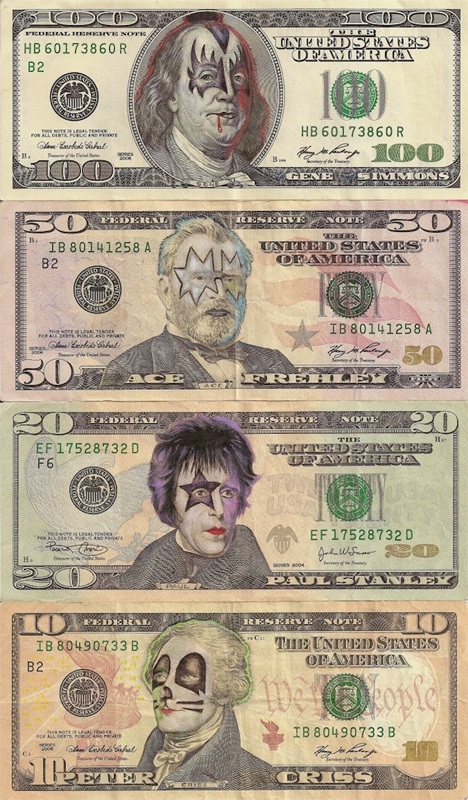 His portraits, created on real money using ink, turn dead presidents into colorfully amusing pop culture icons. Taking the likenesses of Andrew Jackson, Abraham Lincoln, Ulysses S. Grant and Alexander Hamilton, James Charles embellishes the already-present images to turn them into other people entirely. 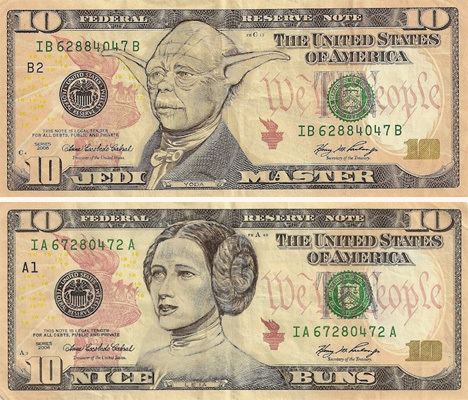 The altered bills celebrate the geeky and the mainstream, the absurd and the admirable. 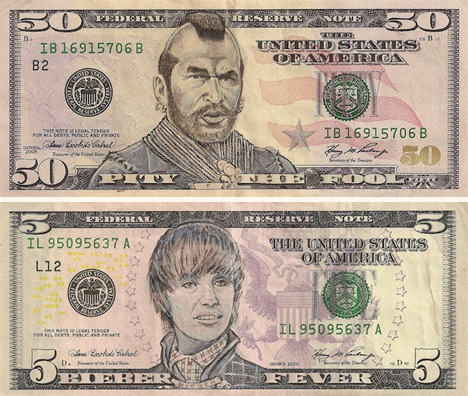 Looking at the bills, you might not even know that they started out as actual U.S. currency. The alterations are so expert that the small pieces of paper look like they were simply styled to resemble money. But take a closer look and you’ll notice actual serial numbers and other indications that the tiny canvases are, in fact, genuine greenbacks. Look even closer and you might even see the extremely intricate cross-hatching that Charles uses to cover up the “old” and shape the “new.” It’s an amazing amount of skill that allows the artist to cover up the images that are already there with a whole new layer of ink. One of the best parts of the altered money is the little phrases that appear below the portraits. 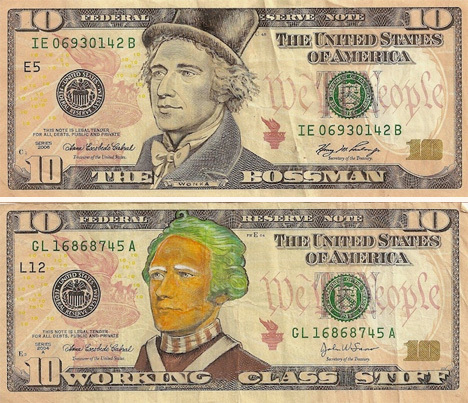 What were once small letters denoting the worth of the bill have been transformed into fun descriptions of the characters on those bills. 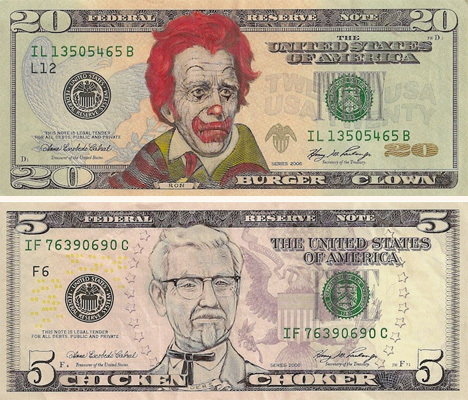 The artist originally began the fun project by absentmindedly doodling on dollar bills. He accidentally spent a few of the early creations, so he decided to start keeping them in a folder. Eventually the folder filled up with these tiny odes to various American icons. 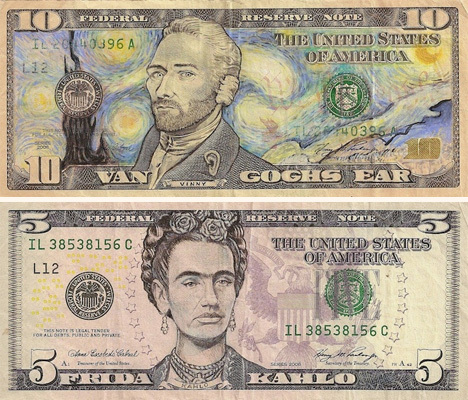 By experimenting with ink, the artist discovered that he could very closely match the appearance of the original printing on the bills. His work calls into question the ultimate value of this currency we place so much value on but which ultimately is little more than paper and ink.